Hail, Holy Queen, Mother of Mercy – our life, our sweetness, and our hope. To Thee do we cry, poor banished children of Eve. To Thee do we send up our sighs, mourning, and weeping in this valley of tears. Turn then, most gracious Advocate, thine eyes of mercy toward us. And after this, our exile, show unto us the blessed fruit of Thy womb, Yeshua. O clement, O loving, O sweet Lady Mary, intercede for us O Holy Mother of God; that we may share in the promises of the Krist. Amen. O Most Holy Mother Mary, Queen of the most holy Rosary, you were pleased to appear to the children of Fatima and reveal a glorious message. We implore you, inspire in our hearts a fervent love for the recitation of the Rosary. By meditating on the mysteries of the redemption that are recalled therein may we obtain the graces and virtues that we ask, through the merits of Yeshua the Krist, our Lord and Savior. O my Yeshua, forgive our mistakes. Save us from the fires of hatred. Lead all souls into Heaven, especially those most in need of Your mercy. I find not within, I will never find it without. Remember, O most gracious Mother Mary, that never was it known that anyone who fled to Your protection, implored Your help, or sought Your intercession was left unaided. Inspired with this confidence, I fly unto You, O mother of mothers, my Mother. To You I come, before You I stand, imperfect and humble. O Mother of the Word Incarnate, despise not my petitions, but in Your mercy, hear and answer me. Holy Mary, help the helpless, strengthen the fearful, comfort the sorrowful, pray for the people, plead for the clergy, intercede for all women consecrated to God; may all who keep your sacred commemoration experience the might of your assistance. Tell me- for you know. my whole body without reserve. O Beautiful Lady Mary, Mother of Mercy, you are the refuge of sinners, the health of the sick, and the comfort of the afflicted. You know my wants, my troubles, my sufferings. By your appearance at the Grotto of Lourdes you made it a privileged sanctuary where your favors are given to people streaming to it from the whole world. Over the years countless sufferers have obtained the cure for their infirmities — whether of soul, mind, or body. Therefore, I come to you with limitless confidence to implore your motherly intercession. Allow, O loving Mother, the grant of my requests. Through gratitude for Your favors, I will endeavor to imitate Your virtues, that I may one day share in Your glory. Amen. We honor You as Yahweh’s chosen one, beautiful, beloved, and free from all fear and hatred. Keep watch over us, see that we rise above our flaws and failings and come to share the fullness of grace. 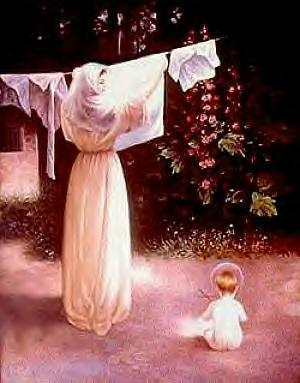 Be a Mother to us in the order of grace by assisting us to live your obedience, your faith, your hope, and your love. Amen. O Most beautiful flower of Mount Carmel, fruitful vine, splendor of Heaven, Blessed Mother of the Son of El, assist me in this my necessity. O Star of the Sea, help me and show me herein that You are my Mother. O Mother of God, Mary the Holy, we dedicate and consecrate ourselves to you under the title of Our Lady of the Miraculous Medal. May this Medal be for each one of us a sure sign of your affection for us and a constant reminder of our duties toward you. Ever while wearing it, may we be blessed by your loving protection and preserved in the grace of your Son and Daughter. 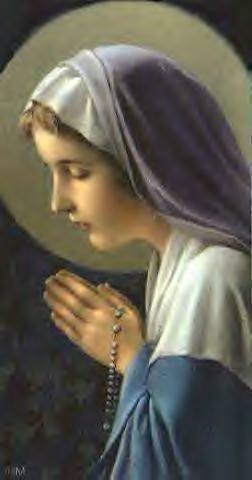 O Most Powerful Lady, Mother of Our Savior, keep us close to you every moment of our lives. Obtain for us, your children, the grace of a happy death; so that in union with you, we may enjoy the bliss of Heaven forever. Amen. Our Lady of Guadalupe, mystical Mother, intercede for the Church, protect Your people, help all who invoke You in their necessities. Since You are the Lady Mary and Mother of the God of Truth, allow us the grace of a firm and sure hope amid bitterness of life, as well as an ardent love and the precious gift of final perseverance. O Mary, conceived in holiness, I come to your throne of grace to share the fervent devotion of your faithful Mexican children who call to Thee under the glorious title “Guadalupe” — the Woman who crushed the serpent. Queen of Martyrs, whose Immaculate Heart was pierced by seven swords of grief, help me to walk valiantly amid the sharp thorns strewn across my path. Invoke the Holy Spirit of Wisdom to fortify my will to frequent the Mysteries so that, thus enlightened and strengthened, I may prefer the Godhead to all creatures and shun every occasion of sin. Help me, as a living branch of the Vine that is Yeshua the Krist, to exemplify His divine charity, always seeking the good of others. Queen of Apostles, aid me to win souls for the Sacred Heart of my Savior. Keep me fearless and loving, so that I may bring many people to your throne. Amen. As You are above all creatures in Heaven and Earth, more glorious than the Cherubim, more noble than any here below, You are the Mother of the Krist’s people, firm bulwark and Protectress, to shield and save believers who fly unto You. Mary, powerful Lady, You are the mighty and glorious protector of the Church. You are the marvelous help of Kristians. You are awe-inspiring as an army in battle array. In the midst of our anguish, struggle, and distress, defend us from the power of the Enemy, and at the hour of our death, receive our soul in Heaven. Most Glorious Lady, you were chosen by the eternal Counsel to be the Mother of the Eternal Word made flesh. 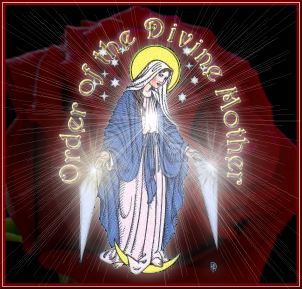 You are the treasurer of divine graces and the mother of believers. I who am your faithful servant have recourse to Thee. Graciously be my guide and counselor in this valley of tears. Obtain for me the freedom from hatred, fear, and sin. In like manner, obtain for the Holy Church victory over Her enemies and the spread of Yeshua’s kingdom over the whole earth. Today, each day, and in our last hour, we entrust ourselves entirely to Your loving and singular care. We place in Your hands our entire hope and happiness, our every anxiety and difficulty, our whole lives. May our every endeavor be directed and guided according to the Will of Your Son and Daughter, which is Your wish, by the aid of Your prayer and special favor with God. Amen. Great Mary, intercede for us. Greatest of Marys, intercede for us. Greatest of Women, intercede for us. Mother of Eternal Glory, intercede for us. Mother of the Golden Light, intercede for us. Honor of the Sky, intercede for us. Temple of the Divinity, intercede for us. Fountain of the Gardens, intercede for us. Serene as the Moon, intercede for us. Bright as the Sun, intercede for us. Garden Enclosed, intercede for us. Temple of the Living God, intercede for us. Light of the Nazoreans, intercede for us. Beauty of the World, intercede for us. Queen of Life, intercede for us. Ladder of Heaven, intercede for us. And give glory to our Mother, Primordial Waters. And give honor to our Sister, Spirit of Earth. Bring us the love we deserve and desire! Holy Mary, grant us love. Bride of Yahweh, grant us love. Isis Incarnate, grant us love. Temple Virgin, grant us love. Betrothed to Joseph, grant us love. Jewel of David, grant us love. God’s Desire, grant us love. Holy Magdalene, fulfill our desires. Bride of Yeshua, fulfill our desires. Inanna Incarnate, fulfill our desires. Queen of Hearts, fulfill our desires. Lover of the Faithful, fulfill our desires. Song of Solomon, fulfill our desires. Love’s Light, fulfill our desires. Holy Shekinah, bring us together. Bride of El, bring us together. One with Asherah, bring us together. Queen of Tsion, bring us together. Israel as Bride, bring us together. Lover of Prophets, bring us together. Affectionate Hope, bring us together. May we share in their divine mission of love. Mother of the liberator, intercede for us. Mother of the homeless, intercede for us. Mother of the dying, intercede for us. Mother of the nonviolent, intercede for us. Mother of widowed mothers, intercede for us. Mother of unwed mothers, intercede for us. Mother of a political prisoner, intercede for us. Mother of the condemned, intercede for us. 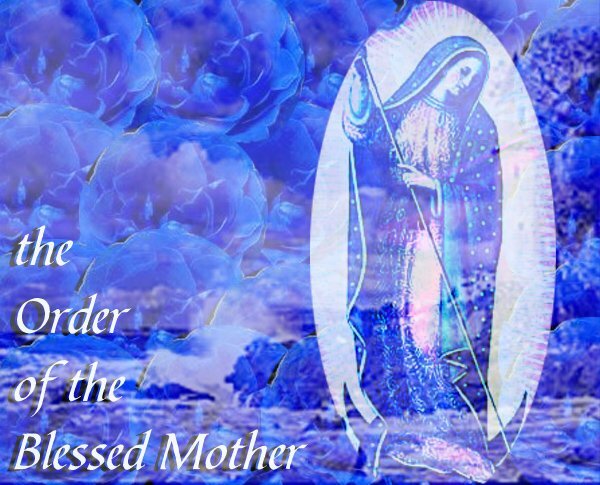 Mother of the executed criminal, intercede for us. Oppressed woman, lead us to life. Marginalized woman, lead us to life. Seeker of sanctuary, lead us to life. First disciple, lead us to life. Sharer in Krist’s passion, lead us to life. Seeker of El’s will, lead us to life. Witness to Krist’s resurrection, lead us to life. Woman of mercy, empower us. Woman of faith, empower us. Woman of contemplation, empower us. Woman of vision, empower us. Woman of wisdom and understanding, empower us. Woman of grace and truth, empower us. Woman, pregnant with hope, empower us. Woman, centered in God, empower us. whole group would say the italicized words. Lord have mercy. Yeshua have mercy. El, the Father of Heaven, grant peace to us. Asherah, the Mother of Heaven, grant peace to us. Yeshua the Son, Incarnate Word, grant peace to us. Miriam the Daughter, Incarnate Spirit, grant peace to us. Holy Quaternity, One Godhead, grant peace to us. Holy Mary, intercede for us. Holy Mother of God, intercede for us. Holy Mother of mothers, intercede for us. Mother of the Krist, intercede for us. 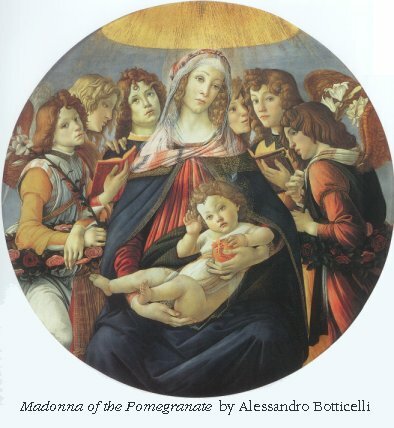 Mother of the Church, intercede for us. Mother of Divine Grace, intercede for us. Mother most holy, intercede for us. Mother most loving, intercede for us. Mother most amiable, intercede for us. Mother most admirable, intercede for us. Mother of good counsel, intercede for us. Mother our Creator, intercede for us. Mother our Savior, intercede for us. Lady most prudent, intercede for us. Lady most venerable, intercede for us. Lady most renowned, intercede for us. Lady most powerful, intercede for us. Lady most merciful, intercede for us. Lady most faithful, intercede for us. Mirror of Justice, intercede for us. Cause of our joy, intercede for us. Health of the sick, intercede for us. Comforter of the afflicted, intercede for us. Help of Kristians, intercede for us. Queen of Angels, intercede for us. Queen of Patriarchs, intercede for us. Queen of Prophets, intercede for us. Queen of Apostles, intercede for us. Queen of Martyrs, intercede for us. Queen of Virgins, intercede for us. Queen of All Saints, intercede for us. Queen assumed into Heaven, intercede for us. Queen of the Most Holy Rosary, intercede for us. Queen of Peace, intercede for us. Queen of the Church, intercede for us. Yeshua, knit so wonderfully in the womb of Mary, hear us. Yeshua, conceived of the Holy Spirit in the womb of Mary, hear us. Yeshua, uniquely human from the moment of conception in the womb of Mary, hear us. Yeshua, present at creation, created in the womb of Mary, hear us. Yeshua, word made flesh, taking on a human body in the womb of Mary, hear us. Yeshua, subject to human development in the womb of Mary, hear us. Yeshua, whose Precious Blood first flowed through tiny arteries and veins in the womb of Mary, hear us. Yeshua, hidden nine months in the womb of Mary, hear us. Yeshua, begotten by El, nourished by the substance and blood of His Most Holy Mother in the womb of Mary, hear us. Yeshua, leaping from eternity into time, in the womb of Mary, hear us. Yeshua, revealing with His Father and the Holy Spirit all wisdom and knowledge to His Most Holy People, in the womb of Mary, hear us. Yeshua, aware of His role as Redeemer in the womb of Mary, hear us. Yeshua, Eternal Word, Divine Child, embraced by the Father, in the womb of Mary, hear us. Yeshua, everlasting delight of heaven, in the womb of Mary, hear us. Yeshua, manifesting His Incarnation to His Holy Mother, in the womb of Mary, hear us. Yeshua, adored and contemplated by His Mother in the sanctuary of her womb, hear us. Yeshua, before whom the angels prostrated themselves, in the womb of Mary, hear us. Yeshua, in whom the very angels beheld the humanity of the Infant God and the union of the two natures of the Word in the virginal womb of Mary, hear us. Yeshua, whose Holy Limbs first budded in the womb of Mary, hear us. Yeshua, whose Godhead the world cannot contain, weighing only a few grams in the womb of Mary, hear us. Yeshua, Divine Immensity, once meaning only tenths of an inch in the womb of Mary, hear us. Yeshua, Sacrificial Lamb, Docile Infant in the womb of Mary, hear us. Yeshua, who was to suffer the agony and passion of death, accepting the human capacity for pain ad grief, in the womb of Mary, hear us. Yeshua, Lamb of God, in the womb of Mary, hear us. Yeshua, Holy Innocent, in the womb of Mary, hear us. Yeshua, Son of God and Messiah, in the womb of Mary, hear us, O Lord. There are so many families in desperate need. Mary, Queen of Families, we implore you. lax in their faith and even entangled in error. They need your clarity and security. They need your courage and strong faith. material possessions. They need your help. difficulties in educating their children. They need your motherly love. They need your educative hand. loss of true love. They need your goodness. They need your loving understanding. I believe in Mary, the Theotokos. I believe that she is the Divine Heh, Bride of Yah. And she has given both physical and spiritual life to me. And she has helped me to grow through the Church of the Way. And she will come to take me to my Creators in Heaven one day. And she has given me this understanding of her Ways. I believe in the Holy Angels. And they are the Messengers of Understanding and Love. We become the culmination of the cycles of our life. I work to embody her cycles. Joined forever as sisters and brothers. us all that you have made us to be. Though graced, we are limited and often weak. But our weaknesses themselves are no obstacle to your passion for us. Teach us to see in ourselves what you have seen in each of us from birth. Teach us to know our gifts and limits. and joy in being your children. One Godhead, forever and ever. in 19th Century Baltimore, Maryland. Goddess, Mother, be with me still. Thy grace did guide to thine and thee. With sweet hope of thee and thine. You were the first to believe the Magdala. You persevered in prayer with the disciples in the Upper Room. You were a unique witness to the mystery of Jesus. All generations have called you blessed. Now in this Marian year Elohim’s holy Church looks yet again to you for inspiration and help. Amen. (Originally a prayer for the Morning Rite of Isis) The similarities between Mary and Isis are striking, the Madonna and Child images are said to be direct “copies” of similar images of Isis with her son Horus on her lap. It should also be remembered that Mary resided in Egypt for several years just after Yeshua’s birth. From the land of morning I hail you, Mary-Isis! I thank You for Your guidance. Welcome to the softer sky of afternoon. Look ahead to the respite of dusk and evening. At the end of this day which You granted me. And my words within its hours found to be true. I offer to You all energy I have locked in unworthy action or reaction. Grant me dreams of meaning and the memory to recall them. May I partake of Your glory forever. I ask Your assistance tonight (this day) in healing (name of person). Please wrap your wings around (name of person). All hail the holy mender! The sun is set and the stars emerge. The rite to end the day of light. To the sharp angle of invocation. O Mary-Isis, Goddess great and glorious. believe is a form of Asherah [Canaanite/Hebrew]. Mayest thou grant that I behold thy daily beauty. In Paradise dwell our Mothers. and our dear Yokheved, the mother of Moses our teacher. Deborah the prophetess and a hundred thousand women who praise the Name and sing. and She, the Shekhina, will become great. “Holy One, spread Your wings over us. similarities between Mary and Diana). her praise to the end of Telath. the villages of Alleria resound. and utter her praise in the coastlands. against her enemies, she shows her might. by paths unknown she will guide them. Mary you have been there before me. You have known how difficult it is to move away. You have experienced the consequences. You trusted the guidance of God through Joseph. You listened to the deepest part of yourself. You bravely walked into unkown territory. so that your child would be safe. from doing what you had to do. Your faith and courage lead me to my own strength. O Abba and Yeshua, through the Immaculate Hearts of Mary and Magdala, I offer You my prayers, works, joys, and sufferings of this day for all the intentions of Your Sacred Hearts, in union with the Holy Sacrifices performed throughout the world, in reparations for my mistakes, for the intentions of all our associates, and in particular, for the intentions of my closest friends and family. Amen. My dear and sweet Mother Mary, Co-redemptrix of the human race, keep me in Your holy protection. Guard my mind, my heart and my senses, that I be not stained by evil. Sanctify my thoughts, desires, words, and actions, that I may please You and Your Yeshua, my God, and gain paradise with You. Yeshua and Mary, give me Your most holy blessing. In the name of the Father, and of the Son, and of the Holy Spirit; and in the name of the Mother, and of the Daughter, and of the Holy Soul; One Godhead, forever and ever. Amen. We praise You, invisible Father, giver of immortality, and source of life and light. You love all human beings, especially the poor. You seek reconciliation with all of them and You draw them to Yourself by sending Your beloved Son to visit them. Make us really alive today by giving us the light to know You, and Yeshua Messiah Whom You have sent. Grant us the Holy Spirit and enable us to speak volumes about Your ineffable mysteries. Amen. 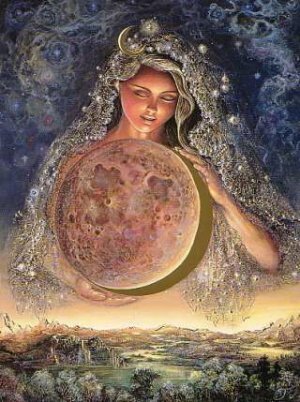 We adore You, Earth Mother, giver of mortality, and source of rebirth and darkness. You love all human beings, especially the poor in spirit. You seek to know all of them and You draw them to Yourself by sending Your beloved Daughter to visit them. Make us really alive today by giving us the hidden mysteries by which we know You, and Miriam Magdala Whom You have sent. Grant us the Holy Soul and enable us to do great works in the name of Your ineffable mysteries. Selah. Eternal Father, we thank You for Your great love. You give the world the best of Yourself, the mirrors of Your perfect transparency, the splendor of Your very being — Your Son Yeshua and Your Daughter Miriam. We thank you for giving Yeshua and His Bride as our Saviors, not as tyrants but as friends, not as superiors but as brother and sister to us all. Help us open our hearts to Their light without fear of being overwhelmed, but exultant with the joy that comes from this light upon all who accept it with gladness. Amen. O King of Glory, send us the Promised of the Father, the Spirit of Truth. May the Counselor Who proceeds from You enlighten us and infuse all truth in us, as You have promised. Amen. O Queen of Glory, send us the Promised of the Mother, the Spirit of Love. May the Counselor Who proceeds from You soften us and infuse all love in us, as You have promised. Selah. St. Michael the Archangel, defend us in the day of battle; be our safeguard against the wiles and wickedness of Shaitan. May the Lord of Hosts rebuke him, we humbly pray, and do thou, O Prince of the Heavenly Host, by the power of the Queen of Angels cast into the lake of fire Shaitan and all the other evil spirits who prowl through the world seeking the ruin of souls. Amen. Dear Saint Anne, we know so little about you except for your name. But you gave us the Mother of God who called herself the handmaiden of the Lord. In your home you raised the Queen of Heaven and are rightly the model of homemakers. In your womb came to dwell the new Eve, uniquely conceived as Mother of Us All. Intercede for us that we may strive to attain great glory in the name of our Godhead. Amen. O Lady of Mental Peace, Mother of Tranquility and Mother of Hope, look upon me in this time of my weakness and unrest. Teach my searching heart to know that God’s love for me is unchanging and unchangeable; and, that true human love can only begin and grow by touching Its love. Let your gentle peace — which this world cannot give — be always with me. And, help me to bring this same peace into the lives of others. Our Lady of Mental Peace — intercede for me!